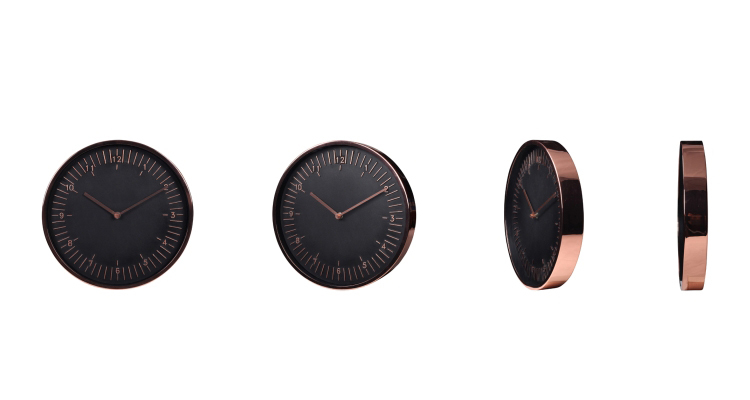 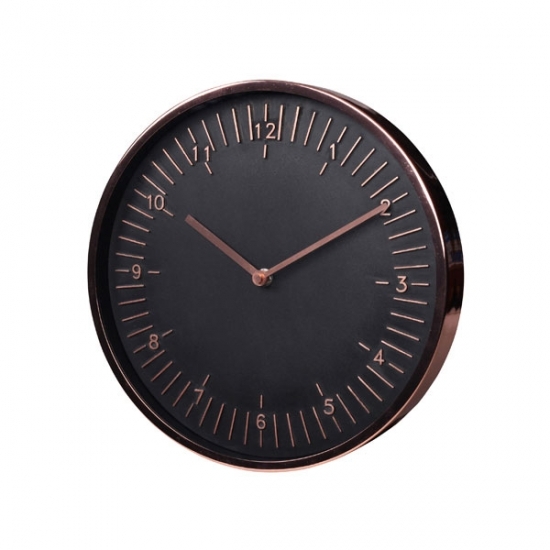 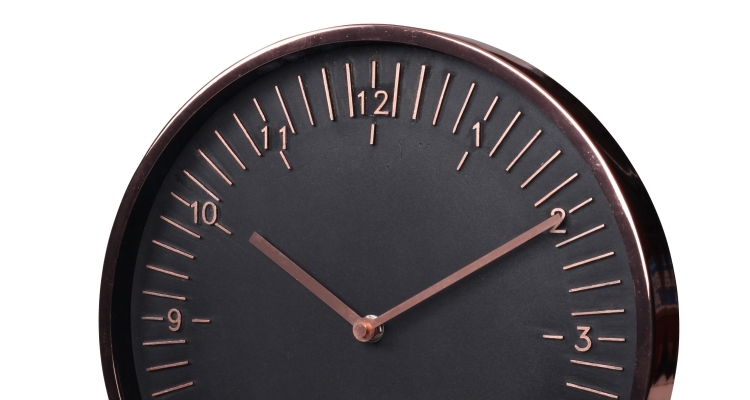 The clock features embossed time markings in rose gold and rose gold aluminum hands. 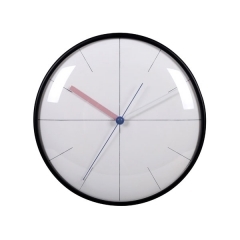 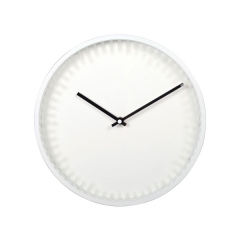 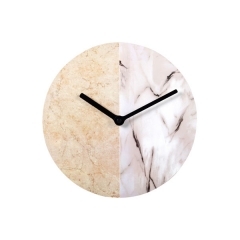 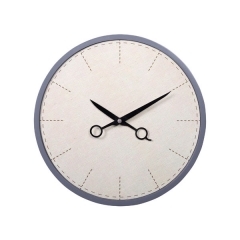 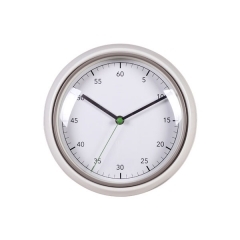 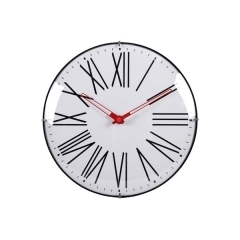 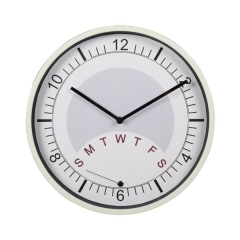 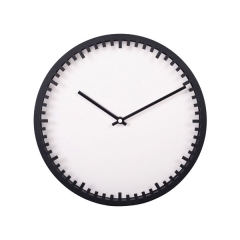 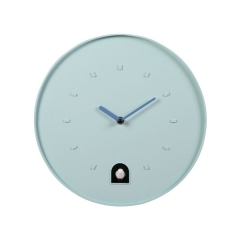 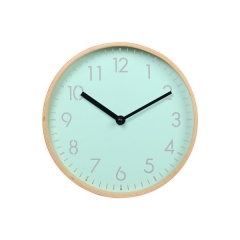 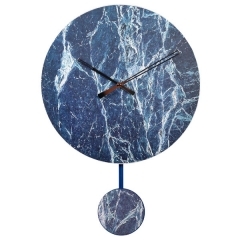 This irresistible clock has highly accurate quartz movement to give you the correct time always. 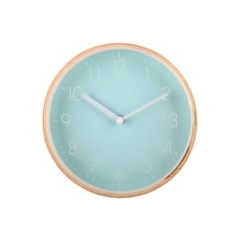 Featuring with a rose gold frame, elegant look. 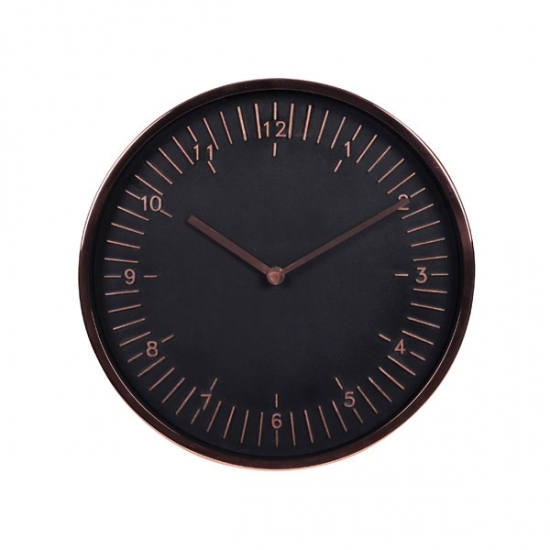 Black clock dial with a raised figure, scale and clock hands, colors are consistent with the clock body, elegant taste naturally revealed.